GX Series trailers are constructed from folded pre-galvanized steel sections with filled-in sides for greater flexibility. 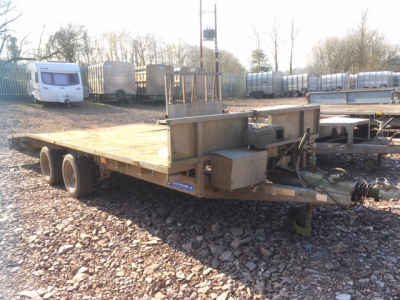 Trailers are offered with hinged adjustable skids or a full-width loading ramp plus a built-in bucket rest as standard . Sizes range from the smallest GX84 up to the largest GX126. 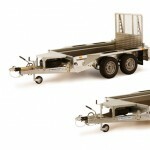 GX Models are available with maximum gross weights of 2700kg and 3500kg. All our plant models are fitted with integrated ramp and skid supports. 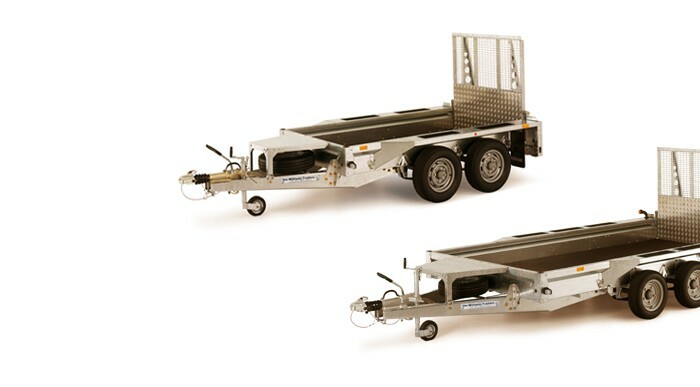 This standard feature ensures trailers are supported whilst being loaded without the need to deploy prop stands. Weights listed are for standard model with no additional accessories fitted.